One of the most important features that come to mind when mechanical watches are concerned, is the power reserve time. 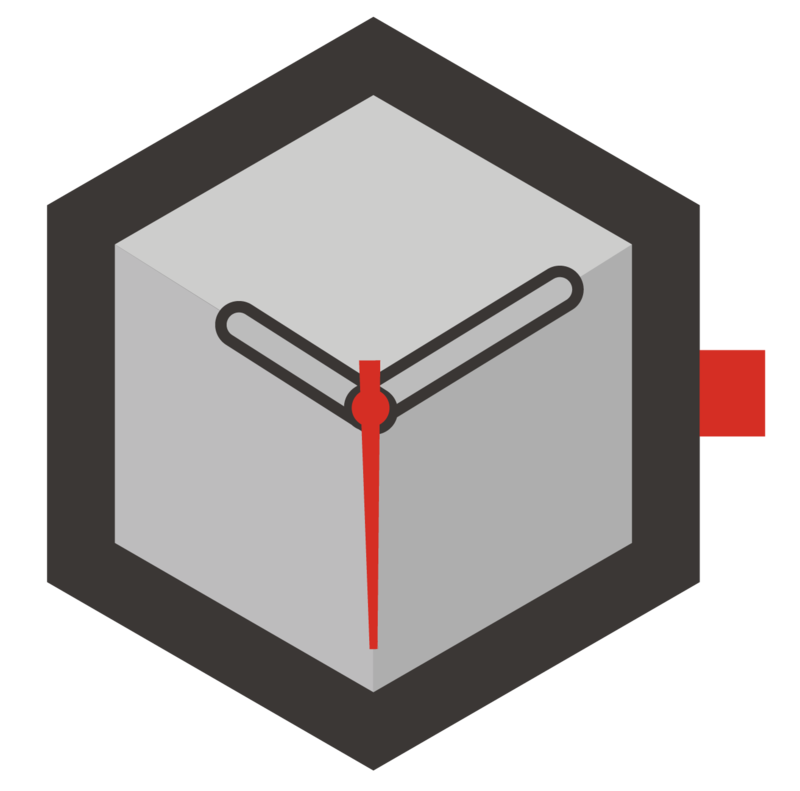 We have picked 5 different models that offer this feature to their users with extraordinary time frames. 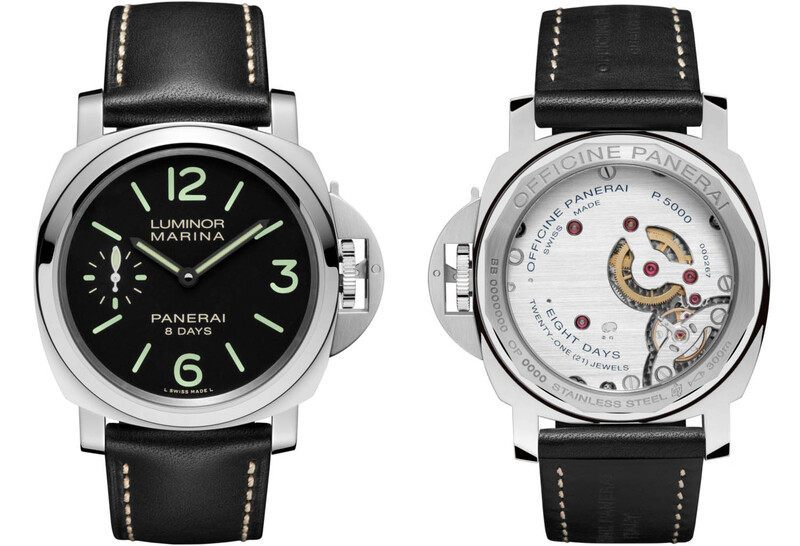 The first model in our list comes from the Italian origin brand Officine Panerai. Ref. PAM00510 comes in a 44mm Luminor style case made of stainless steel. The model is powered by the in-house Caliber Ref. P.5000 which beats at 3Hz (21600vph) and offers a power reserve of 192 hours (8 days) when fully wound. The movement owes this efficient power reserve time to its two spring barrels in series, with their toothed rims meshing. The twin assembly system allows longer and thinner springs to be used which ends up providing a longer duration and stability in delivering energy to the movement. This special model, which takes the second place of our list, draws attention with its flying Tourbillon style escapement and its power reserve time which reaches up to 240 hours when fully wound. The model, which is co-developed by Swiss luxury watchmaker Bovet and the famous Italian design studio Pininfarina, is powered by the hand-wound Caliber Ref. 17BM03MM. 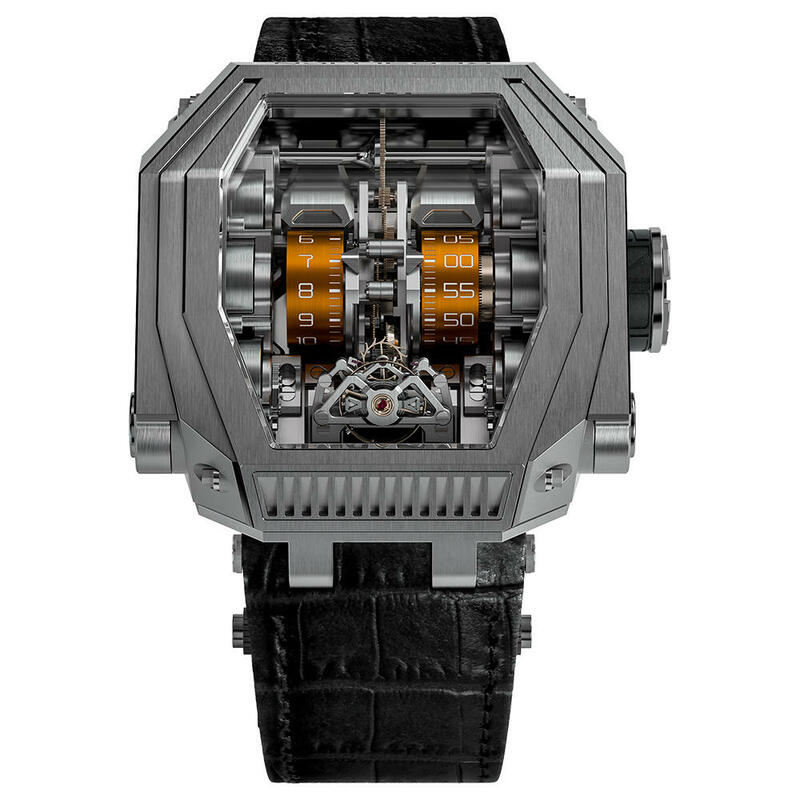 The long power reserve is in part achieved by a low balance oscillation rate 18,000 vibrations per hour (2.5 Hertz) and the 1.04m long mainspring. There are two versions of the model, titanium and solid 18K gold. The third place in our list is occupied by A. Lange & Söhne, one of Germany's pride brands. 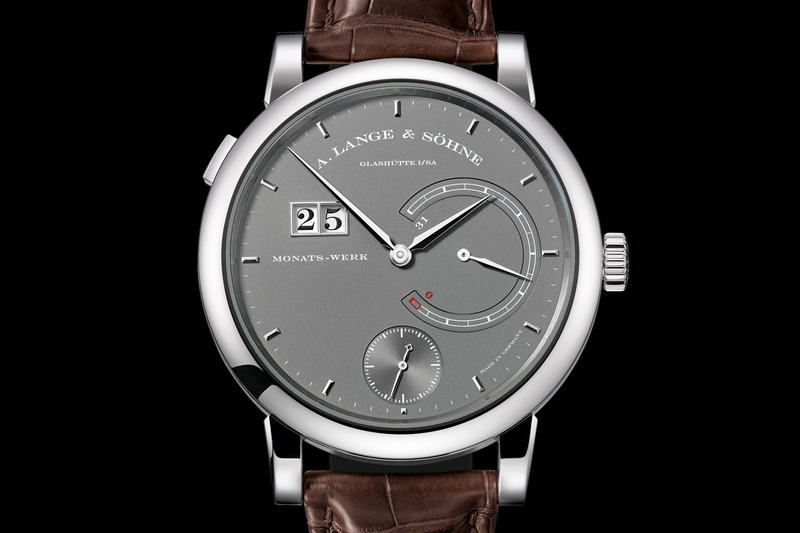 Lange 31 is offered in a platinum case measuring 46 mm in diameter and almost 16 mm thick. 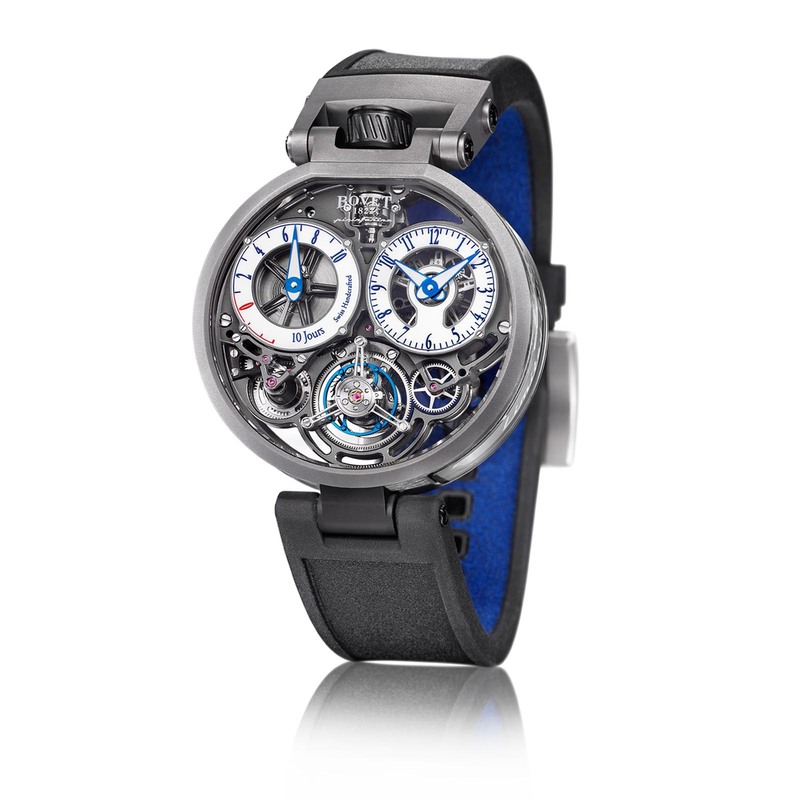 Weighing at 275 grams, it is almost impossible to hide the watch from prying eyes. The model is capable of providing 744 hours (31 days) power reserve when fully wound thanks to dual barrels featuring a pair of mainsprings measuring 1.85 meters each! There is an additional system to control the stability and safe transfer of the massive torque. A tool is required to wind the movement which beats at 3Hz. The famous brand Rebellion, which has been successful in racing cars as well as timepieces, enters the fourth place in our list with the Prometheus model, which redefines the term "advanced technology". Offering a power reserve of 1000 hours (41 days) when fully wound, this engineering marvel is presented in a giant case measuring 48mm x 52mm. 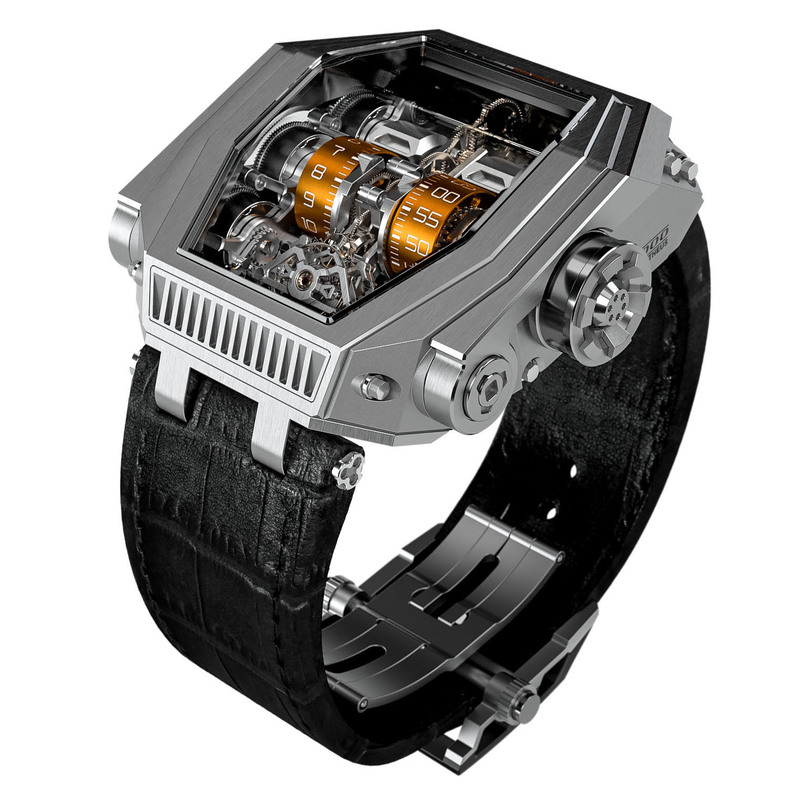 Even the case is made up of 75 individual parts, and the movement itself consists of exactly 698 pieces. In the movement six mainspring barrels, connected and wound by means of two miniaturized chains each measuring 46 mm in length. LaFerrari, perhaps the most extraordinary model of ongoing brand partnership between Hublot and Ferrari, gets the fifth place in our list. The model, which is named after the supercar by Ferrari – LaFerrari, offers a massive 50 days power reserve thanks to its breath taking movement featuring 11 barrels and a Tourbillon type escapement. The movement beats at 3Hz (21600vph) and requires a special tool to be wound. 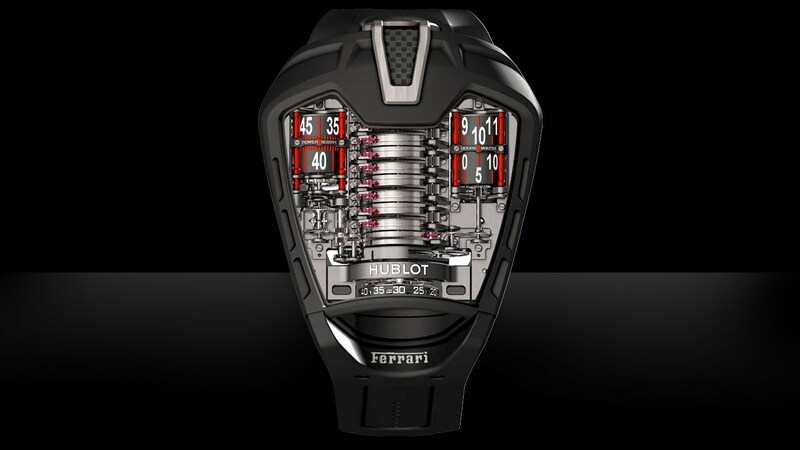 The first version comes in titanium with black PVD coating and it is limited to 50 pieces only.